There are so many attractive and popular logos worldwide, one of them is the Android logo which is known worldwide no matter where it is, just because of its uniqueness but have you ever imagined ' How did Google came up with this wonderful logo for their Android OS ? and Who is the exact person that designed it beautifully like that ? '. Irina Blok is the designer that created the Android logo, but ask around and you’d find out that only very little people knows that she is the person that actually drew the Android logo. The logo came to life some three years ago when Blok and her design team at Google were told to create a logo for Android, something that would instantly reverberate with customers, easily recognizable. Also, Blok was told the logo had to include a robot. After studying all sorts of sci-fi toys, she drew inspiration from a surprising source - a restroom. 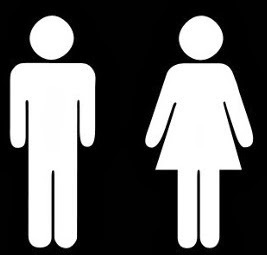 After all, everyone has seen the sign on a restroom and the male/female figures are instantly recognizable. So that’s where the robot comes in, in the form similar to the drawings on restrooms. What’s really important however is that the logo went open source so everyone could play with it and customize it. So while others fiercely protected their logos, Google was going to go another way, they decided it would be a collaborative logo that everybody in the world could customize. We all know what happened next, the little green Android robot has transformed in all sorts of funny ways and the logo is now extremely popular throughout the world. Can you think of a very popular logo which will be the next hit, something unique and attractive ? Then you can share your ideas with us using the comment box below.